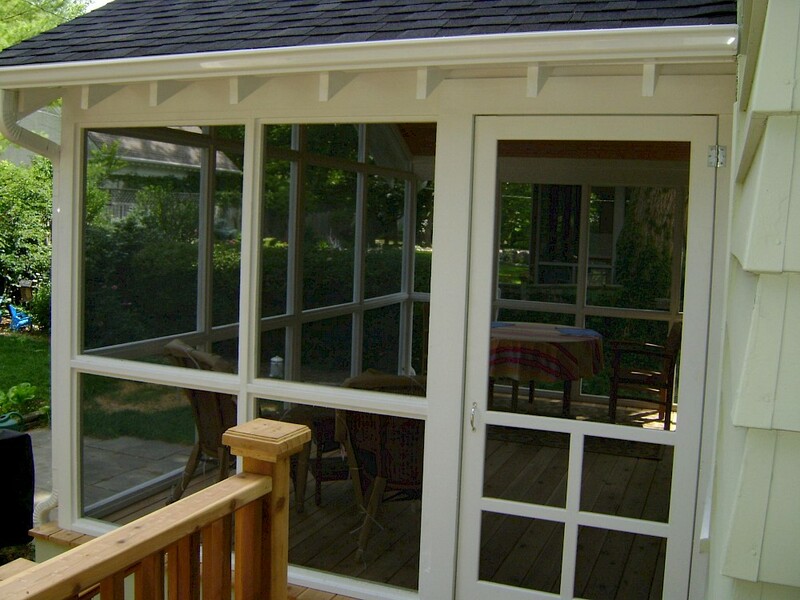 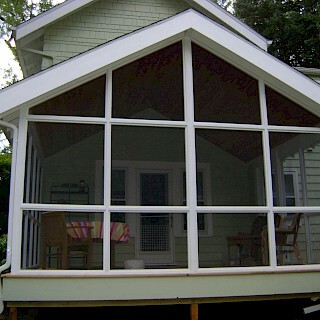 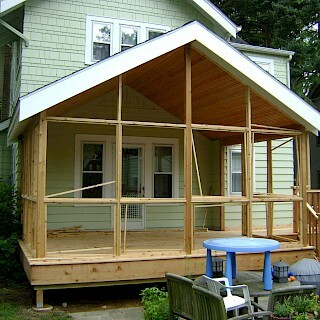 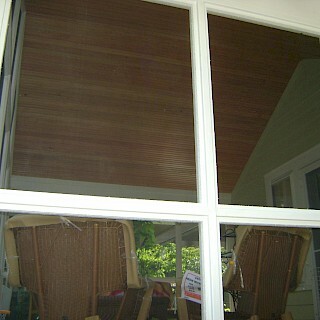 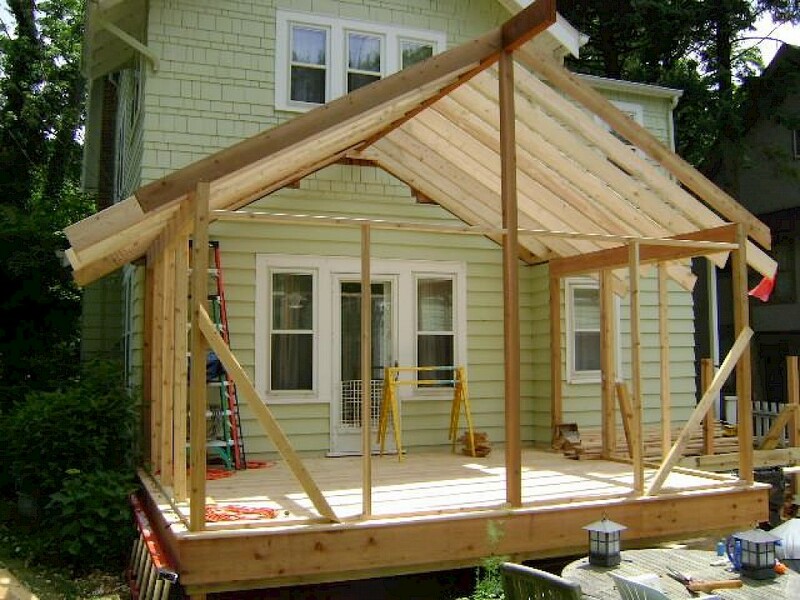 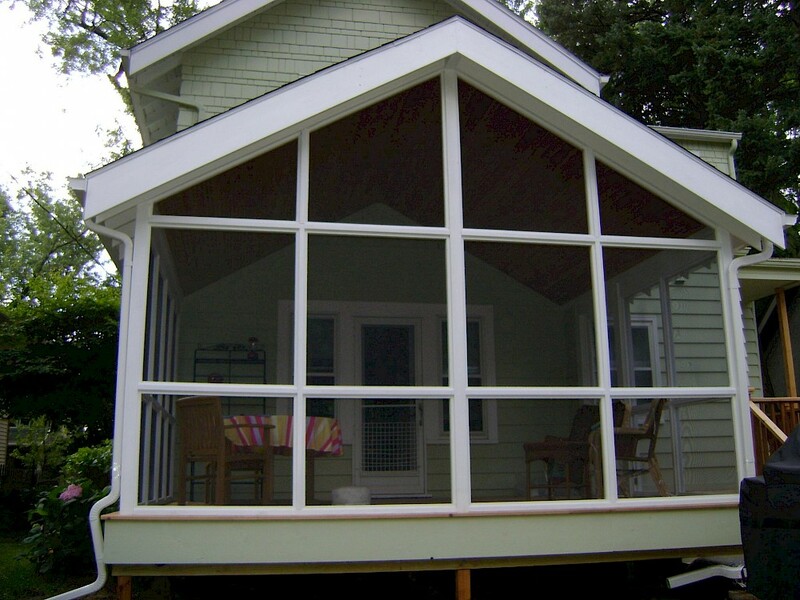 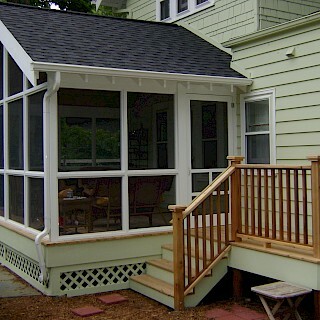 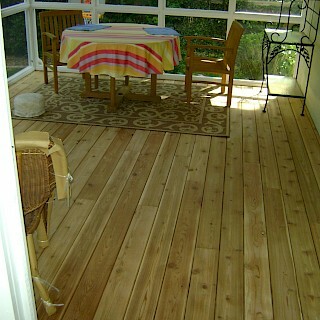 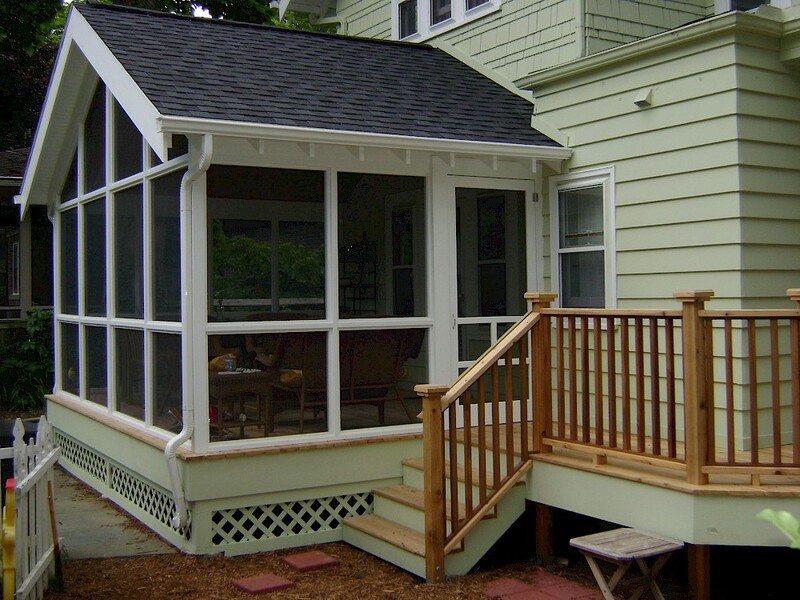 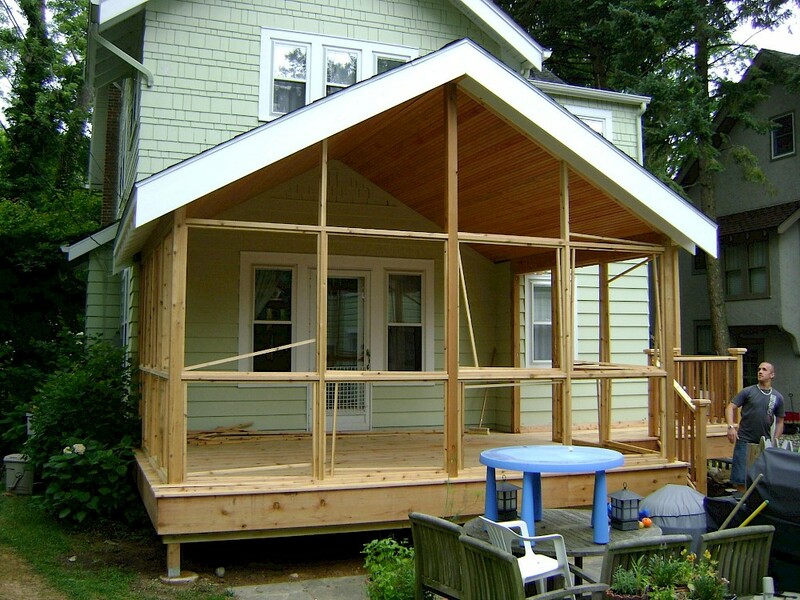 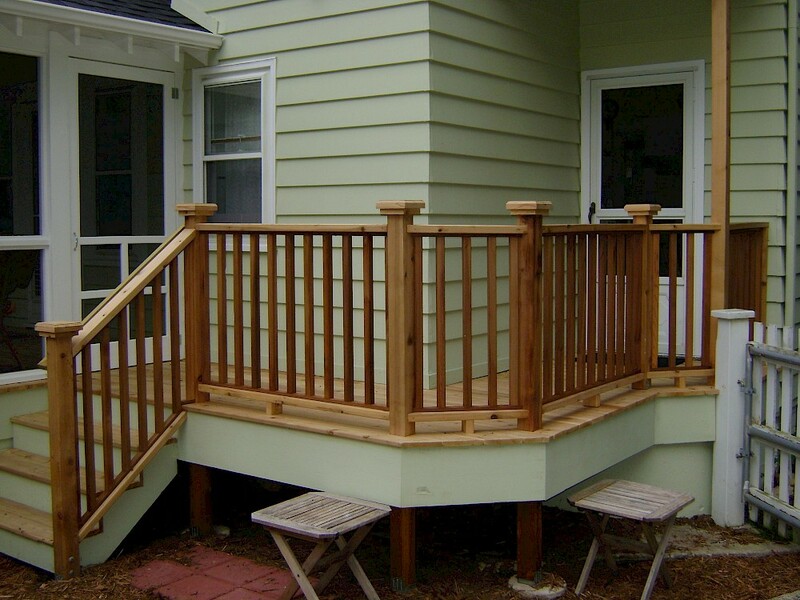 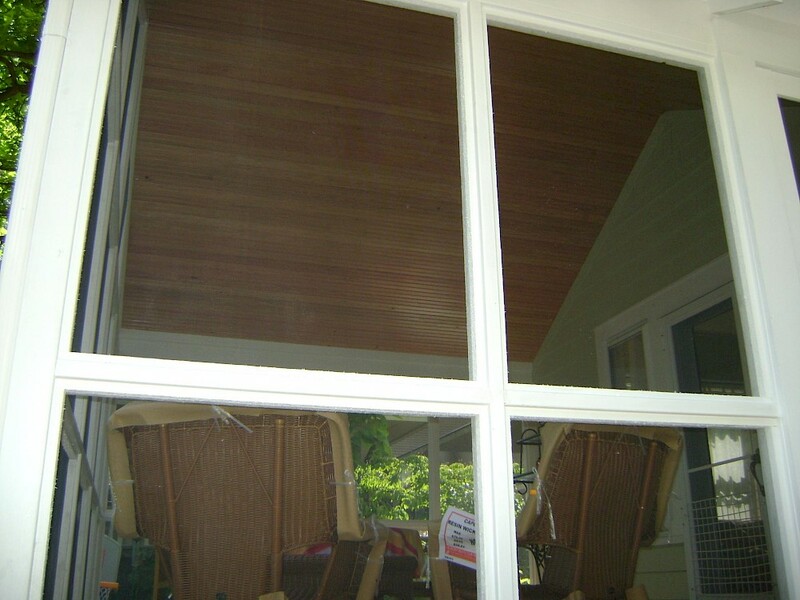 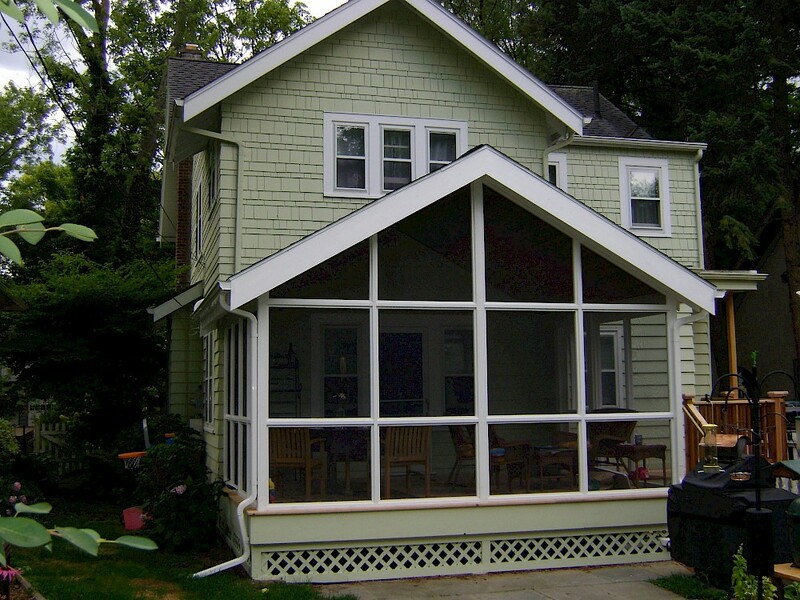 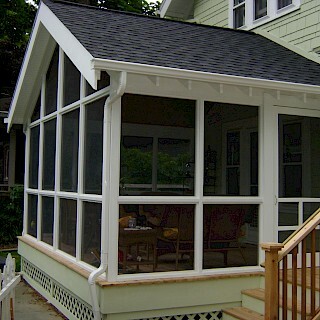 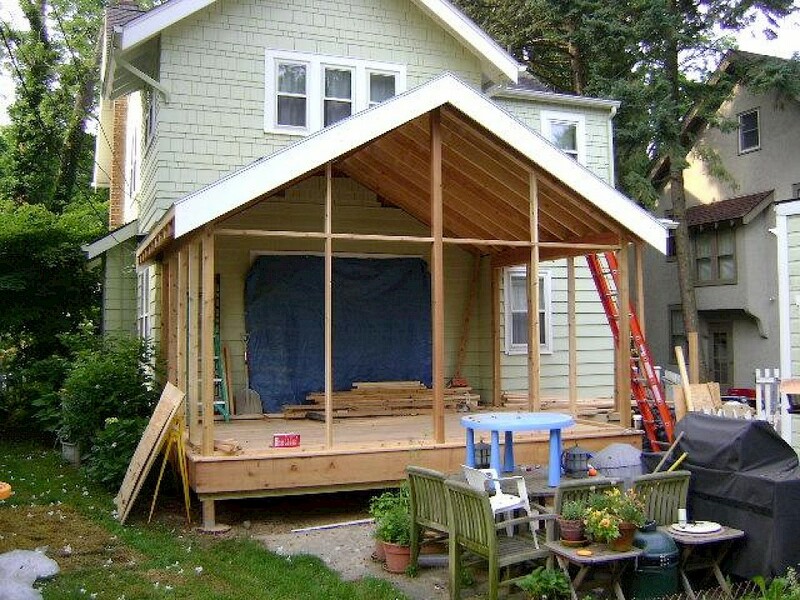 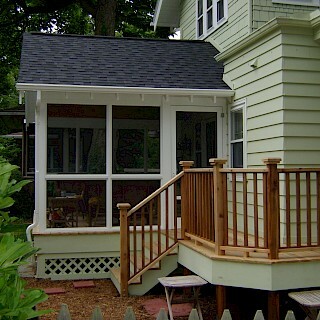 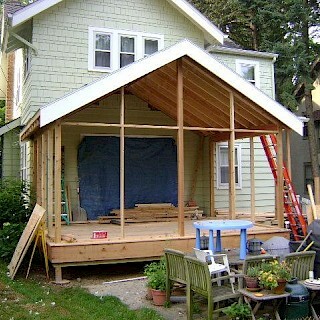 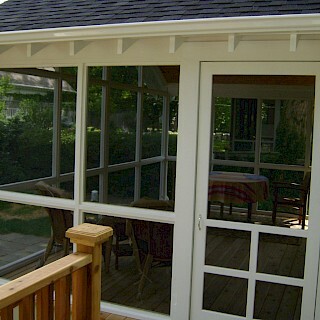 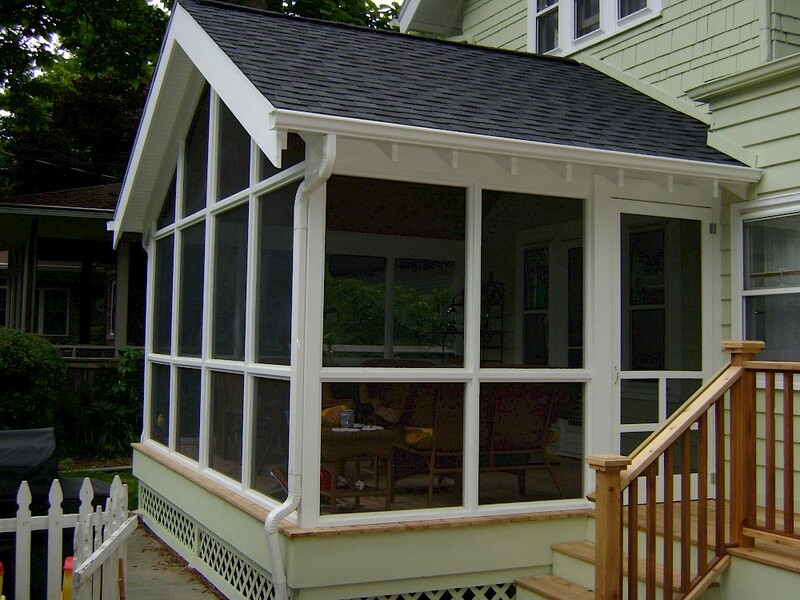 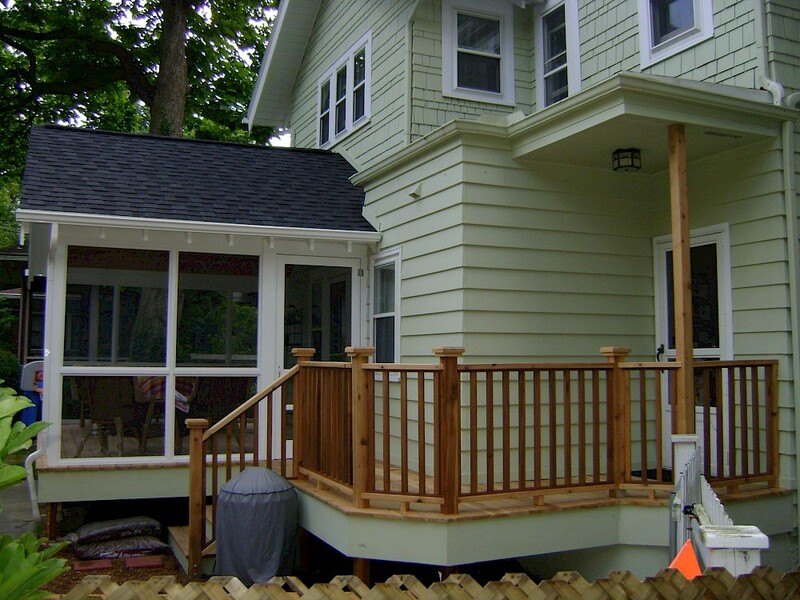 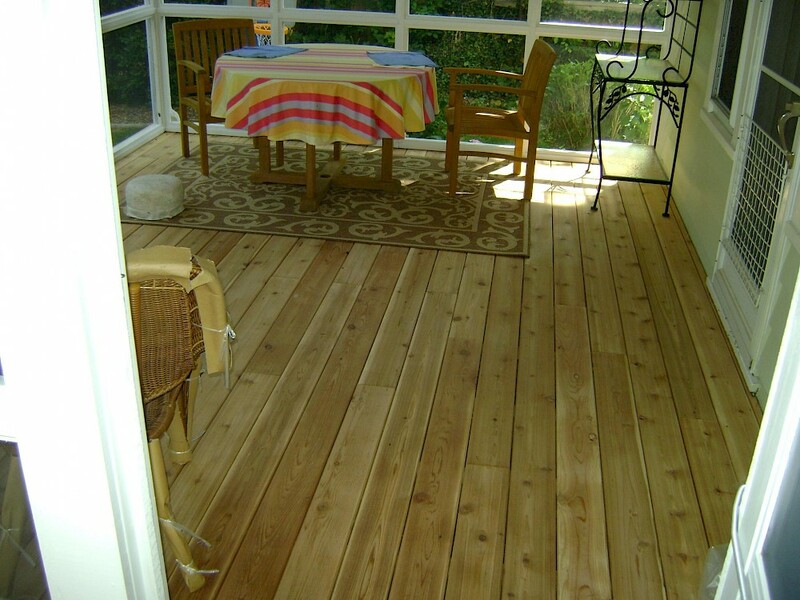 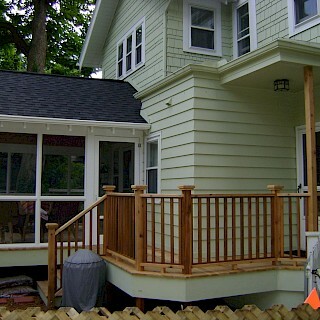 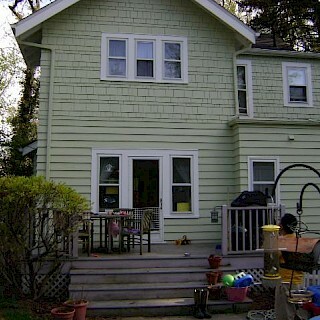 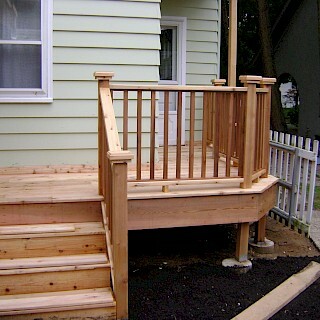 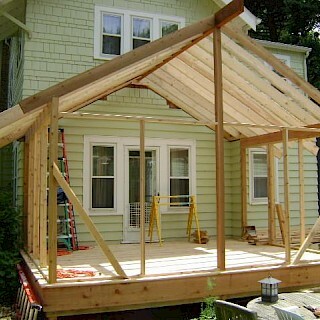 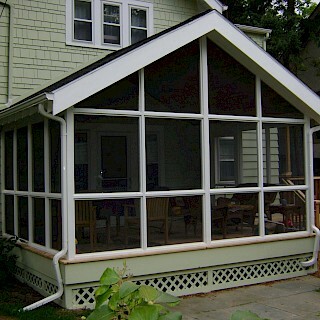 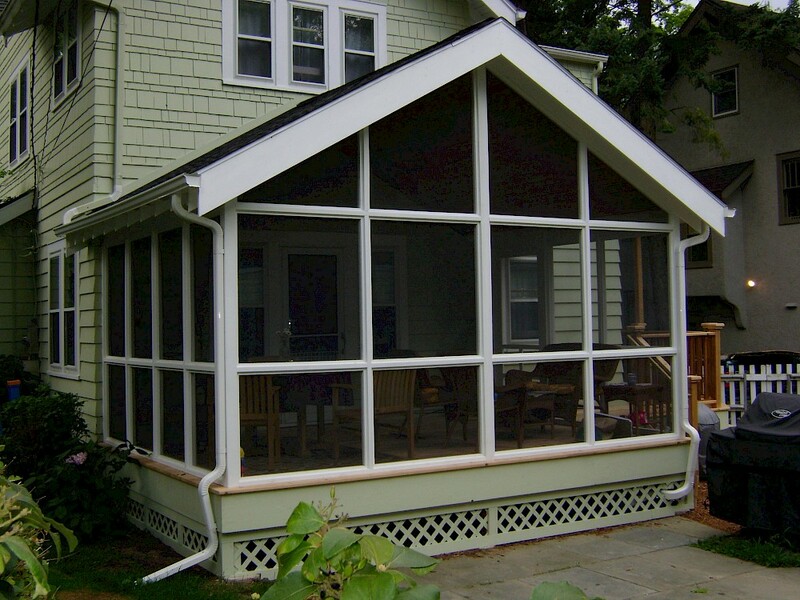 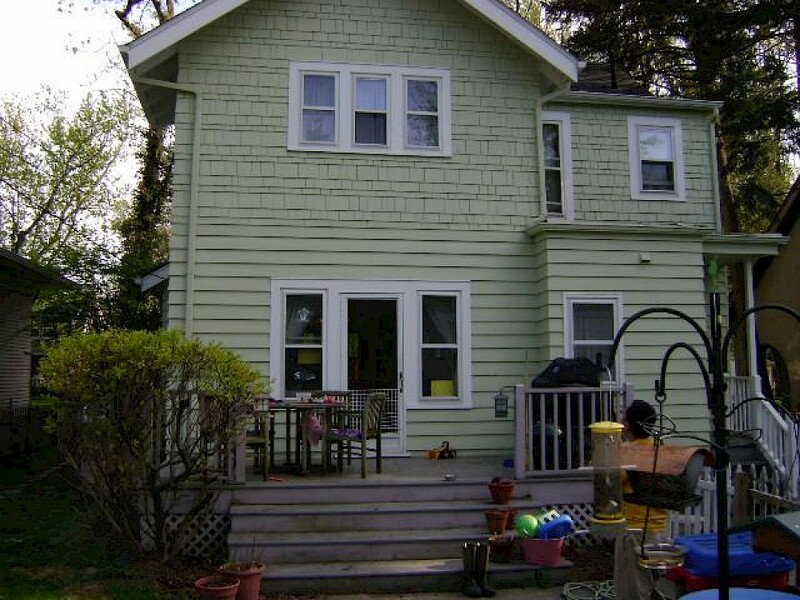 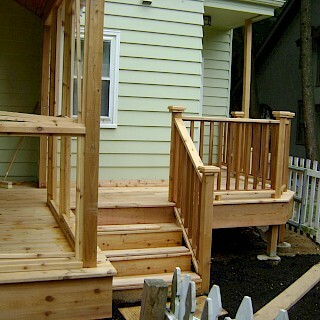 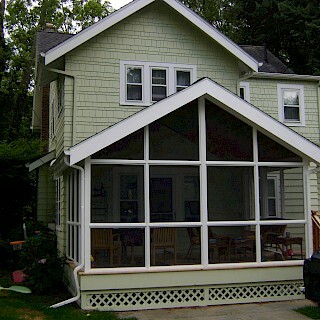 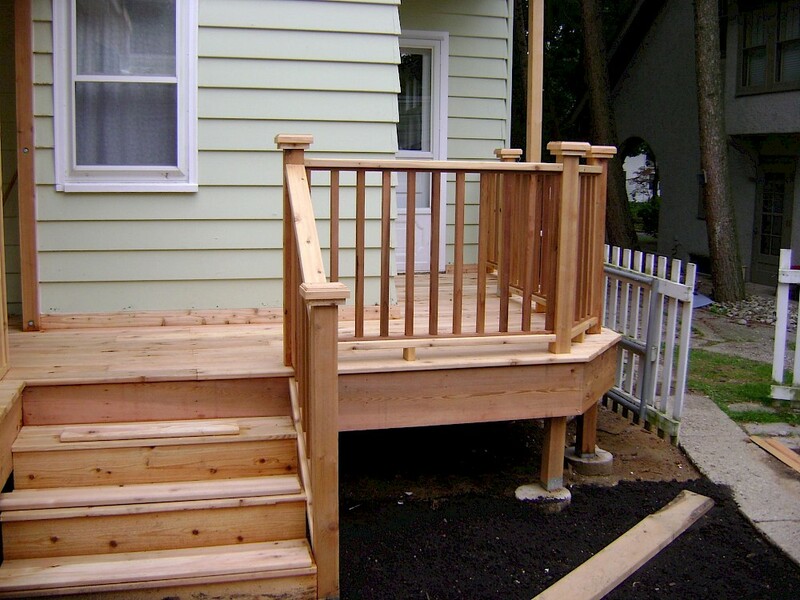 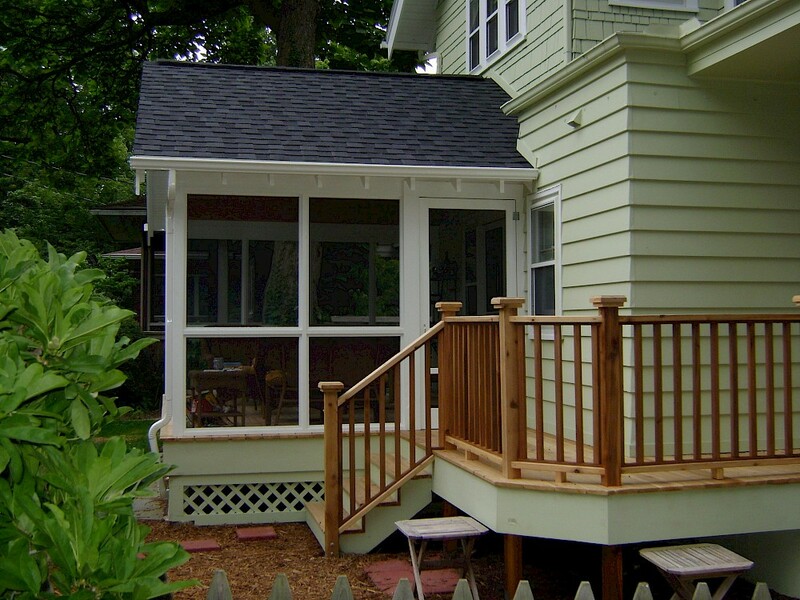 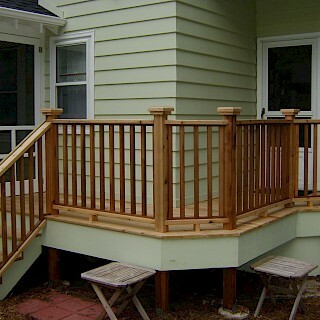 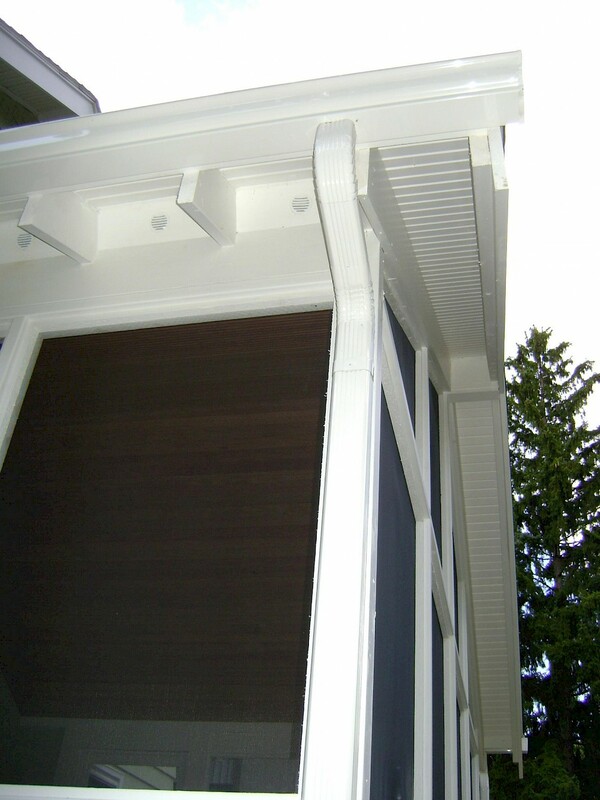 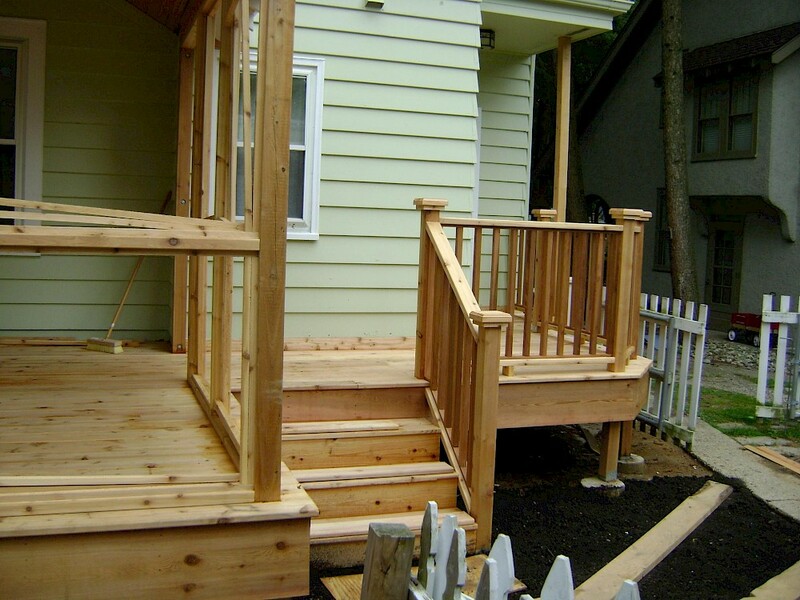 This beautifully finished porch and deck started off with the demolition and disposal of the previously existing deck. 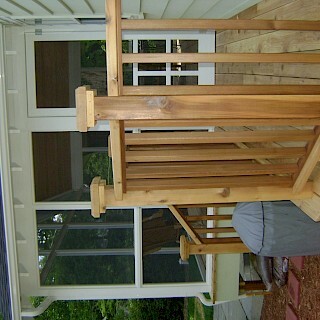 All of the footings were dug out and a cistern had to be collapsed where one of the posts were placed. 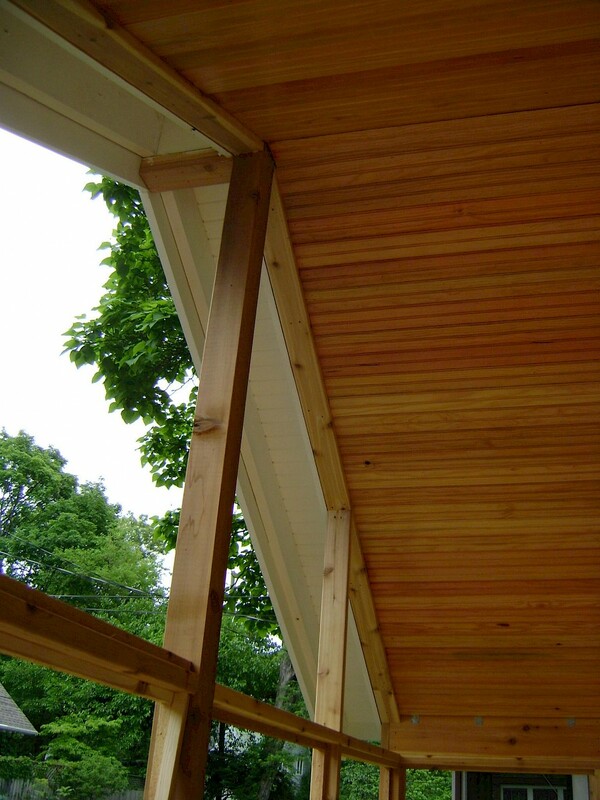 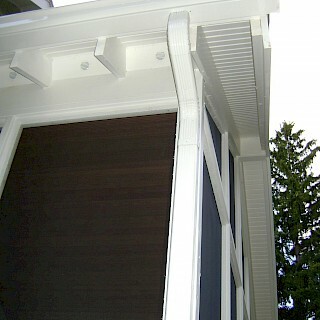 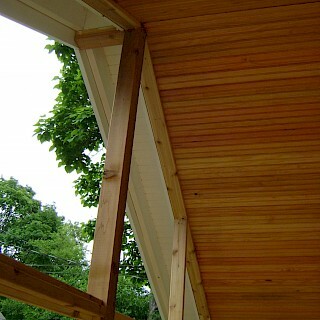 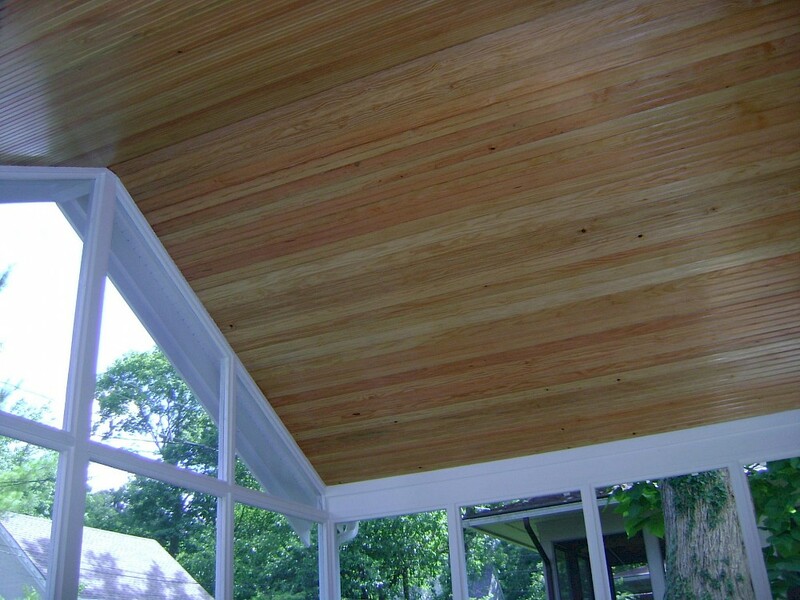 The substructure was built using pressure treated lumber while the rest of the project used gorgeous western red cedar. 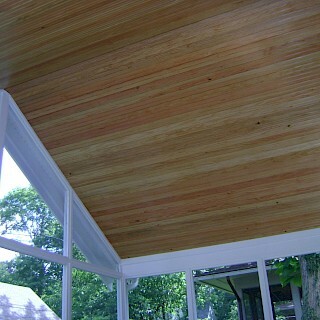 The ceiling was finished with a stained knotty pine beadboard. 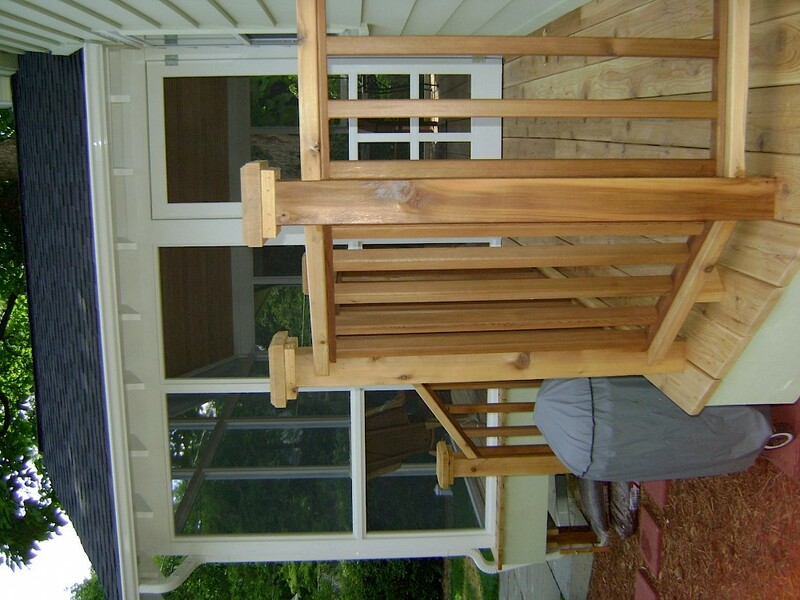 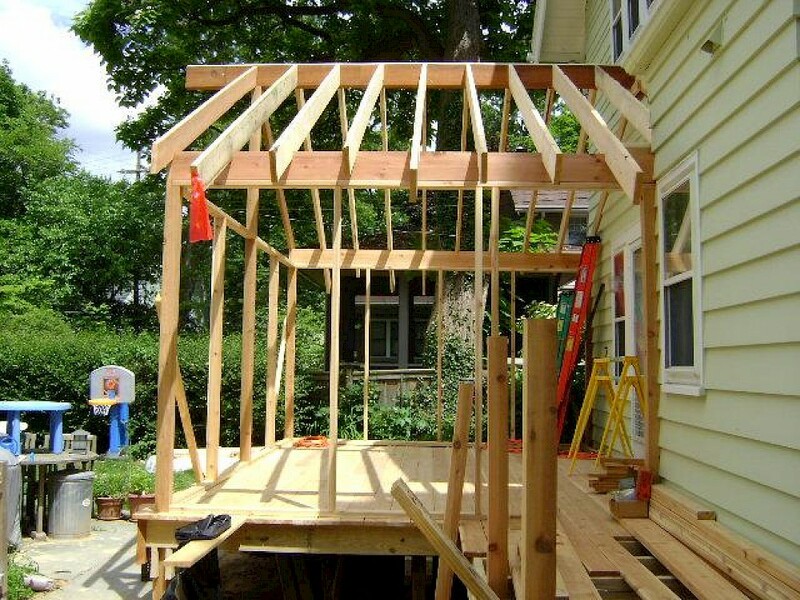 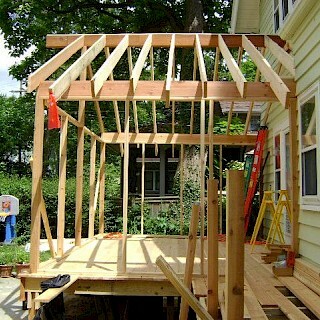 Exemplar Carpentry did all the framing, roofing and painting as well.